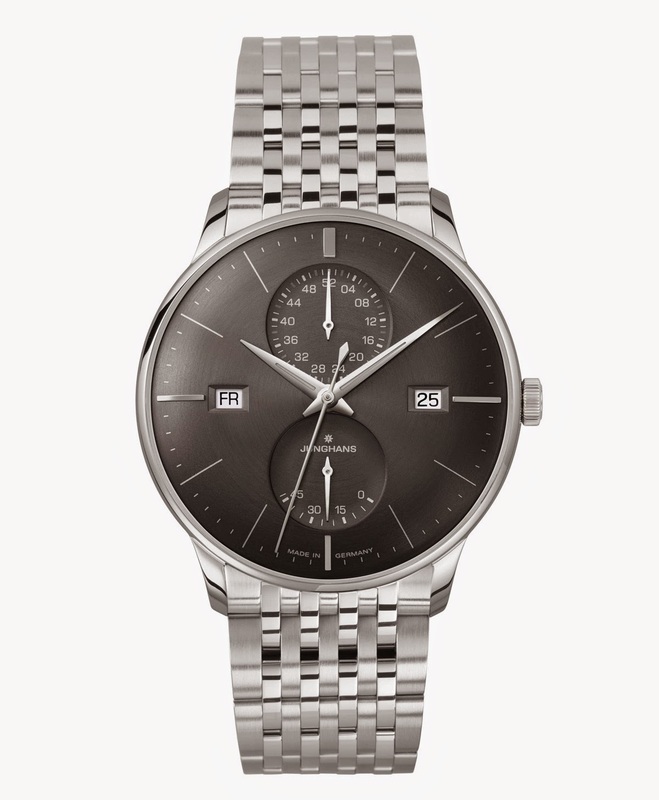 Since 1861, when it was established, the Junghans brand has been a synonym for German watches. The conception, design, engineering and quality control of every watch still takes place in the historical Schramberg business location. At Baselworld 2015, Junghans presented several novelties. Today we highlight a new Meister Agenda model (ref. 027/4567.00) characterised by a graphite grey dial against which two silver grey counters nicely stand out. The dial is protected by a convex hard plexiglass with Sicralan coating, a treatment which improves the scratch proof properties of the surfaces. The counter at 12 o'clock displays the calendar week (and consequently also the month), a function which will be appreciated by businessmen which often use the week number for their planning. At 6 o'clock we find the power reserve indicator and, just above, the Junghans logo with the eight-point star trademark. The small apertures for the day of the week and the date are respectively positioned at 9 and 3 o'clock. The legibility is excellent thanks to large hour and minute sword-shaped hands treated with luminescent material. The classic stainless steel case has a diameter of 40.4 mm and a thickness of 12.2 mm. The Calibre J810.5 self-winding movement is visible through the transparent case back. It beats at 28,800 vibrations per hour (4Hz) and offers a power reserve of 42 hours. A grey leather strap, which nicely matches the hue of the dial, completes the timepiece. A sporty stainless steel bracelet is also available. Junghans also presented another Meister Agenda reference featuring a dark grey dial without contrasting counters and steel bracelet with folding clasp (ref. 027/4568.44). @treasure_65 Hesalite is just the same as plexiglass. It is a brand of plexiglass. And it is true that plexiglass is more scratch prone but it must be also said that it can be polished and replaced very easily. Let me also add that the Junghans crystals are better than Hesalite as they are treated with a protective coating. 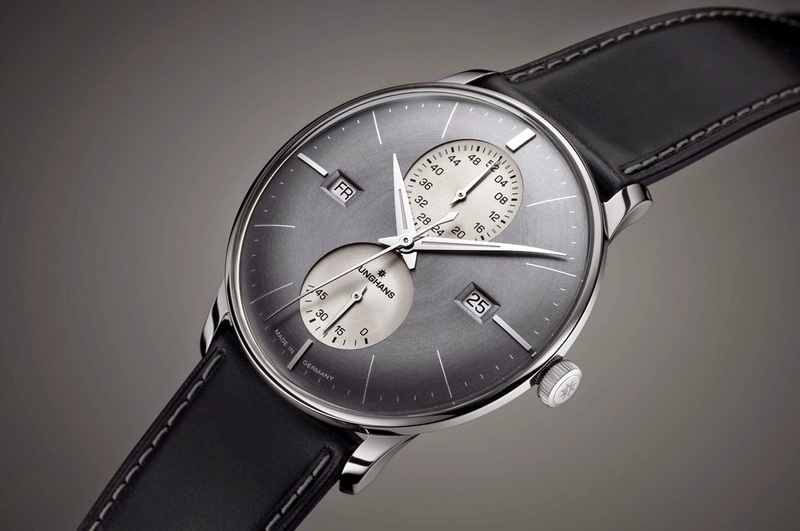 Basel 2015: Junghans Meister Agenda. 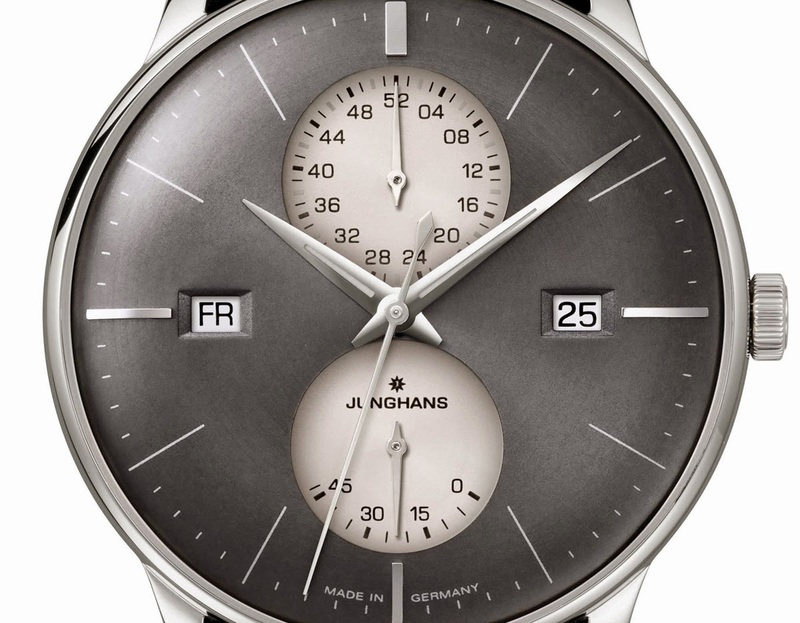 Since 1861, when it was established, the Junghans brand has been a synonym for German watches. 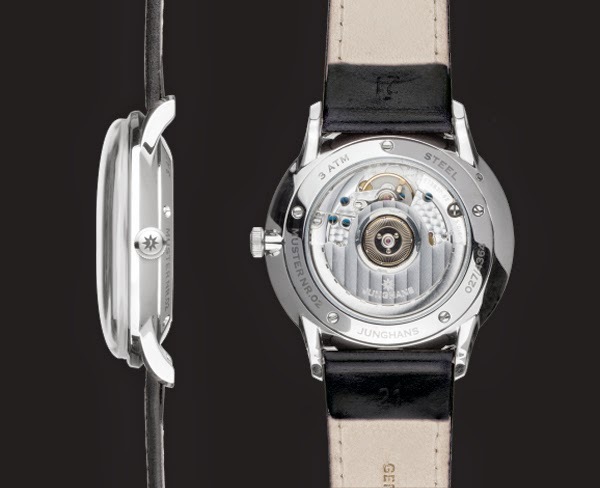 At Baselworld 2015, Junghans presented several novelties. Today we highlight a new Meister Agenda model (ref. 027/4567.00) characterised by a graphite grey dial against which two silver grey counters nicely stand out. 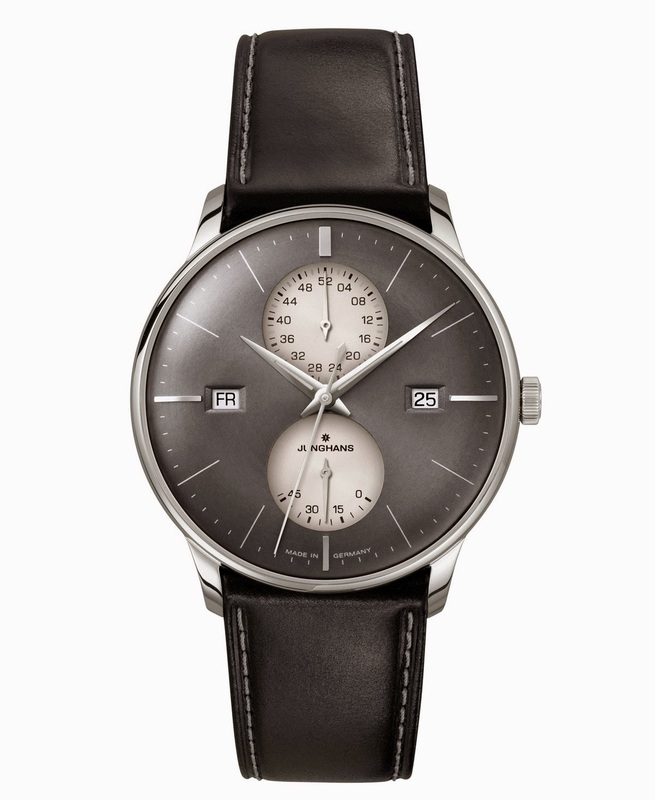 The Junghans Meister Agenda has a retail price of Euro 1,990.00 / US$ 2,626.80 with strap or Euro 2,090.00 / US$ 2,758.80 with steel bracelet.